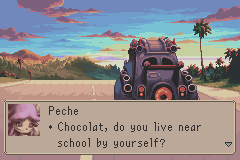 Magical Vacation is Brownie Brown’s first RPG, and a prequel of sorts to the NDS game Magical Starsign. 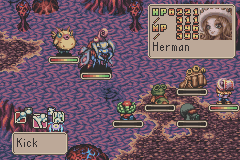 Brownie Brown would later go on to do Sword of Mana and Mother 3 on the GBA. 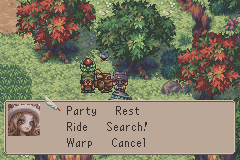 This one didn’t come overseas, but the influence this had on their later titles visually is quite telling, Sword of Mana in particular. This is a completely different game otherwise however, so give it a shot! 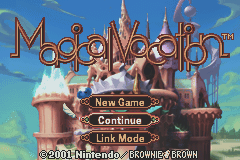 Magical Vacation is Brownie Brown’s first RPG, released on the Game Boy Advance in 2001. The game never saw an overseas release and is one of the few gems on the Game Boy Advance that is Japan only.